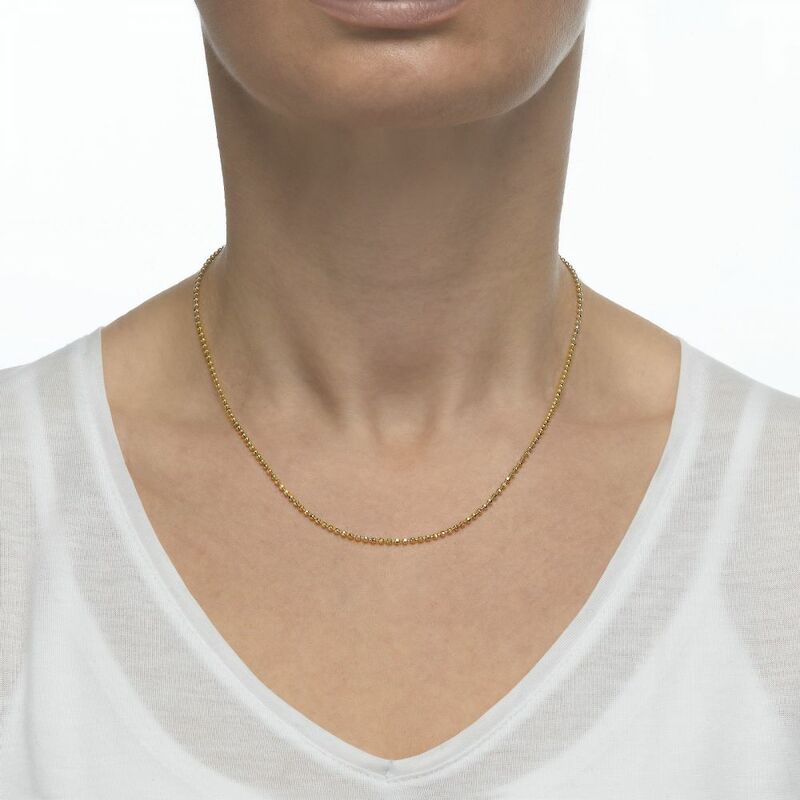 Solid 14K gold necklace made in Italy. 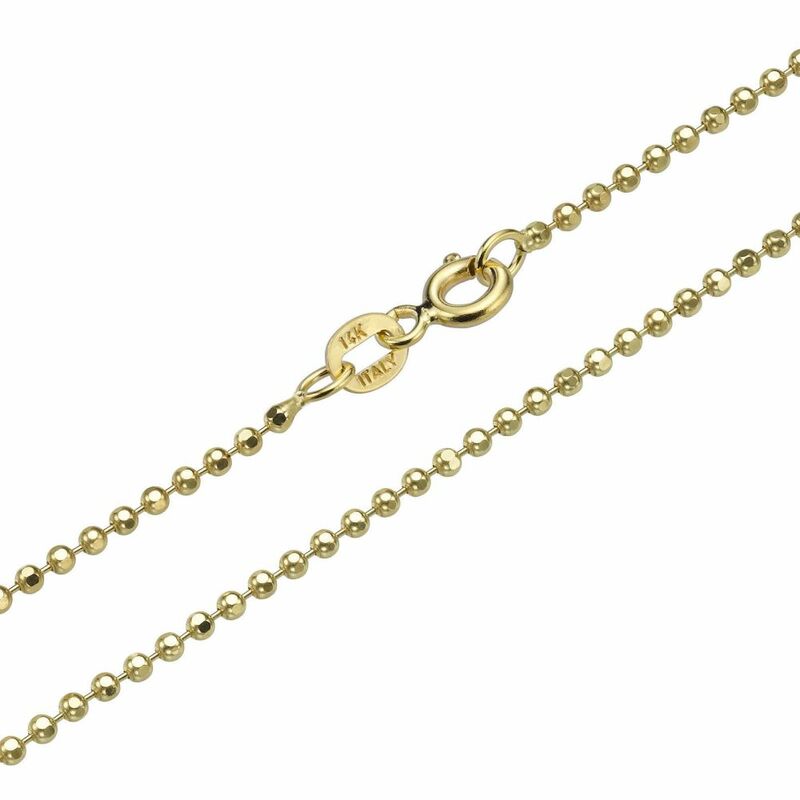 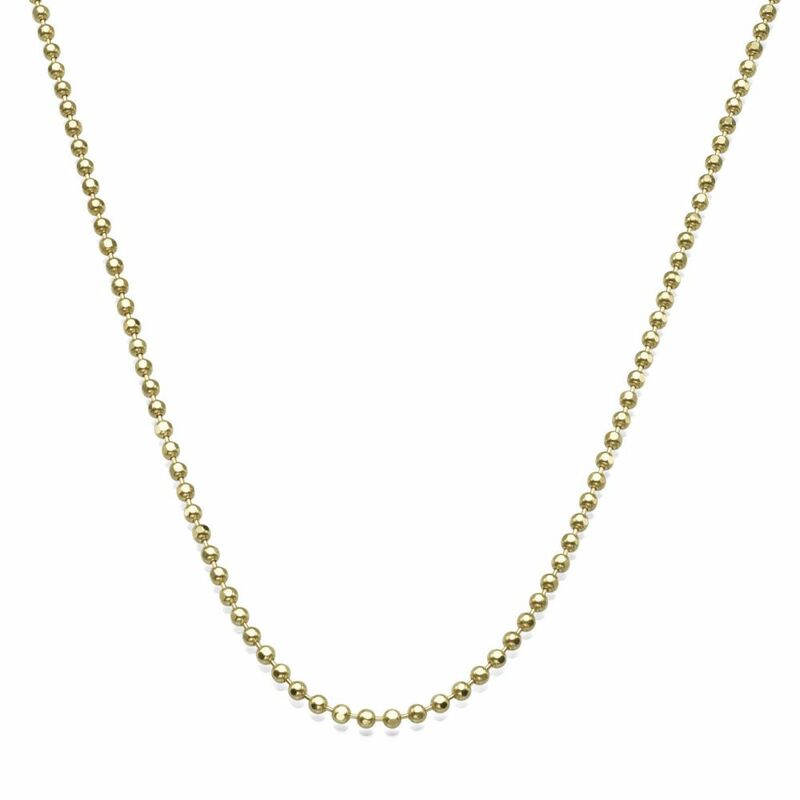 A necklace made up of interconnecting metal beads as if threaded on a delicate gold wire. 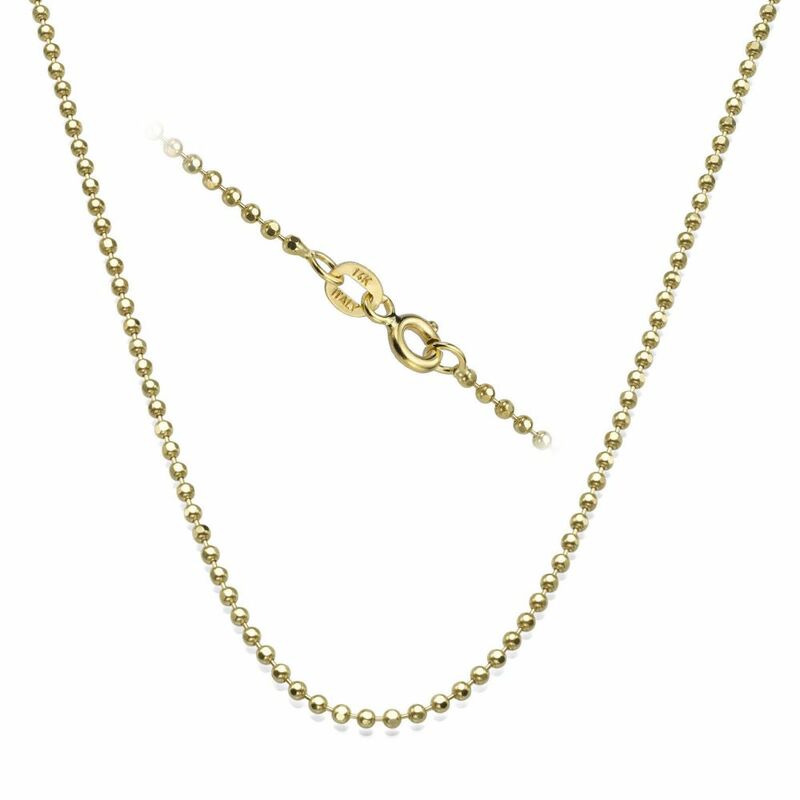 The necklace is made in accordance to highest international standards of quality control under careful supervision.